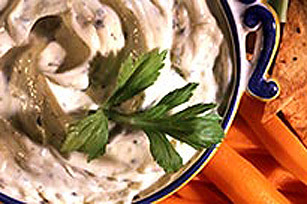 Mix up some homemade tzatziki for a Greek-inspired appetizer or a savoury sauce for grilled chicken or pork. MIX all ingredients. Refrigerate several hrs or overnight. SERVE with a variety of fresh vegetable dippers or grilled pita bread.